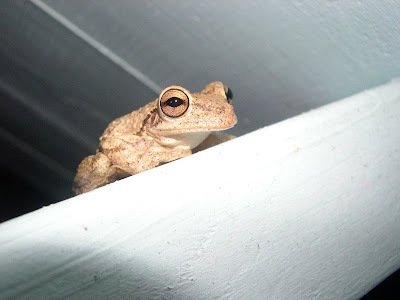 Here's another picture of a Cuban tree frog. This one is bigger than the frog on our Oyster Lilies. This guy was hanging around our window at night. I used the flashlight along with the camera flash for this shot too.